Originally Submitted to FurAffinity.net on Jan 15th, 2017 04:15 AM. Before it was transferred to Inkbunny it had 137 views and 22 favorites. 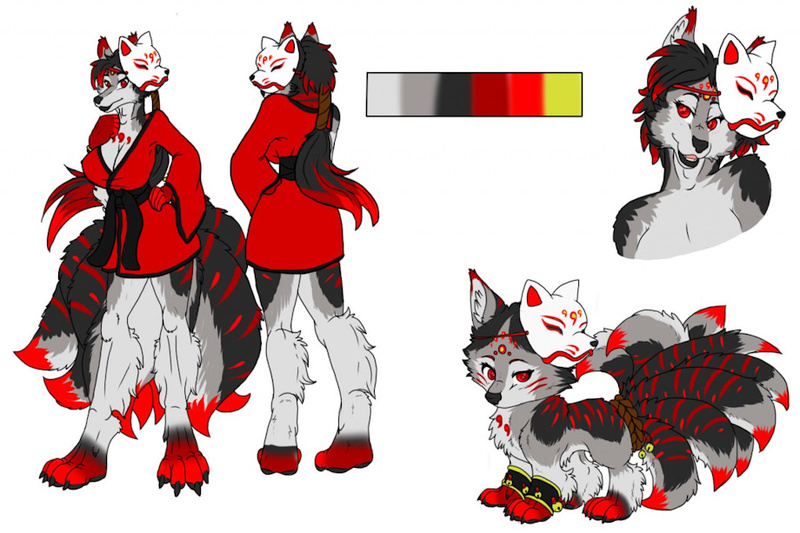 Introducing my 9 tailed kitsune Sakura. 9 tailed kitsune who is a ninja stealth fully taking out targets with ease. The mask is for hiding her face and shes had it for a very long time though isnt very needed since she can change forms if she desired. Rumor has it shes been living for millenia.